“The table in the article quotes about 10mg/100g for alpha tocophero in the samples of rice bran oil on the NZ supermarket shelvesl. In an early issue of Lipid Technology (July 1990, Vol 2, No 3, Pages 72-76) Bob Sayers and Robin Saunders quoted 0.02% total tocopherols for refined rice bran oil (20mg/100g). On the other hand, cereal bran is usually rich in tocotrienols rather than tocopherols. Therefore we would expect rice bran oil to have a high content of tocotrienols. Auckland Health recent newsletter (Public Health Nutrition Advice) has an interesting article comparing butter with margarine and has a succinct comment on trans fat. More and more nutritionists are questioning the oversimplification of the lipid/CHD dogma whilst still maintaining the need to reduce saturates and trans in the diet. The debate keeps simmering and typical of the USA , lawyers are now bringing class actions against the like of McDonalds for reducing saturates but increasing trans fatty acids via hydrogenated oils. 30% of New York restaurants use cooking oils containing partially hydrogenated vegetable oils. The NY Dept of Health sent letters of advice to 20,000 restaurants with “how to replace trans fat products”. Interesting statistic from a dietary point of view is that US citizens consume on average 5.6 meals away from here each week and if they get a dose of trans every time they eat then no wonder they have a high intake of trans compared to Australasians. Now Monsanto has developed a low linolenic acid soybean which they say negates the need to hydrogenate for stability. The FDA is allowing exemptions to labelling trans fat in order to allow companies to utilise their existing product and label stocks. Raisio is now celebrating ten years of its stanol ester margarine Benecol. Benecol products are now currently sold by 14 partners in 20 countries. It is now present in yoghurt drinks, cream cheese style spreads, milk and milk drinks. Note that FSANZ has published an initial assessment report on Application A560 phytosterols in fruit juice and fruit juice drinks. Currently plant sterols are only permitted in yellow fat spreads. Olive Oil Phenols the Main Healthy Ingredient? Plant chemicals in olive oil, rather than the fatty acids, may be responsible for the good heart health widely observed in Mediterranean populations, say Spanish researchers. In a study on blood vessel function in human volunteers, they found that a polyphenol rich olive oil caused a significant improvement but there was little effect after subjects consumed an oil that had many of the phenols removed. 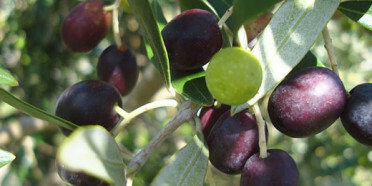 In the last edition of this newsletter we reported the discovery of oleocanthal – more research on these compounds in NZ Extra Virgin Olive Oils is needed in New Zealand. An excellent review of the contribution or otherwise of deep fat frying to the “Heart Health” of New Zealand was recently published in the J. NZ Dietetic Association by Judith Morley-John on behalf of the National Heart Foundation. The fat profiles from 15 outlets were assessed. Saturated fats ranged from 9.0% to 61%. The mean of the saturated fat content was between 48-50%. Mars Inc. has launches its CocoaVia bar which claims benefits from its mix of granola, rice, plant sterols and flavanol- filled cocoa powder. The group is planning a joint seminar with Auckland University in November and has also agreed to have a lipids section at the NZIFST conference in June in Auckland. Interested contributors to either event should contact this columnist as soon as possible. There will also be an AOCS (Australasian section) two day seminar in Melbourne in early November in conjunction with a lipid oxidation course run by Edwin Frankel.